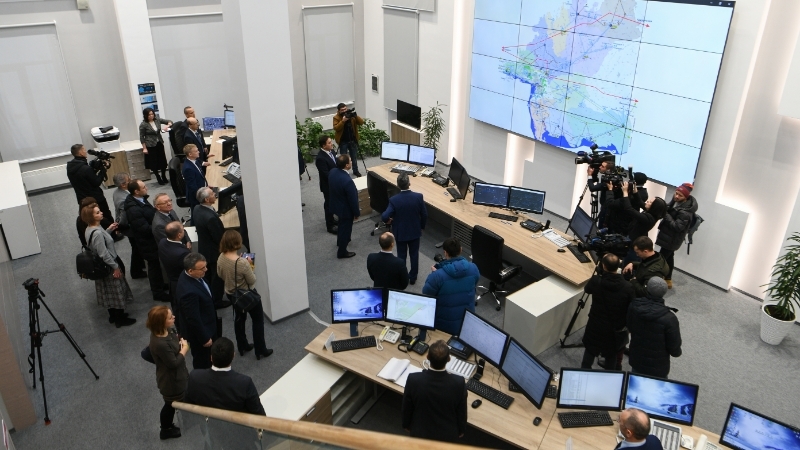 Today, the Vysokogorsky District saw the opening ceremony of a new operations support facility of the Volga Electric Grids. The event was attended by Prime Minister of Tatarstan Aleksey Pesoshin, Minister of Industry and Trade of Tatarstan Albert Karimov, head of the Vysokogorsky Municipal District Rustam Kalimullin, Director General of Grid Company Ilshat Fardiyev, and other officials. During the opening programme of the Volga Electric Grids facility, an energy service contract was signed with Rostelecom. The agenda of the Grid Company’s Board of Directors meeting chaired by Prime Minister Aleksey Pesoshin included current year’s results and projected indicators for the next period. The Board of Directors also approved the information system development concept for 2019-2024, including plans to further automate high-priority business processes. The Board took a favourable view of the steady operations results and the company’s effective operation during the reporting period. The final event of the intensive programme of the day was a ceremonial event in the assembly hall of the new building with the participation of current and retired employees and managers of the company and representatives of contractors.